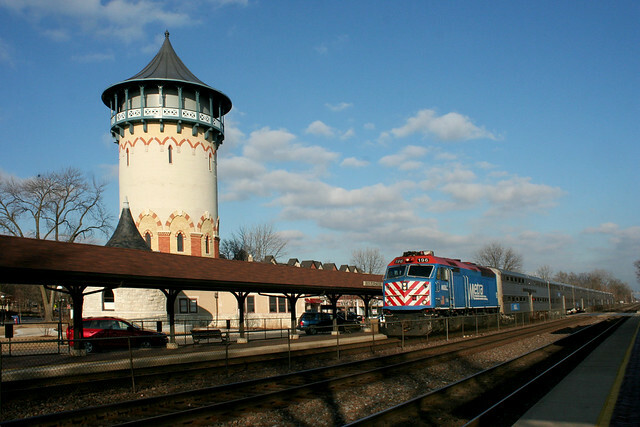 Nearly due west of the loop, between Berwyn and Brookfield, you’ll find a grace note along the Metra line – the beautiful planned suburb of Riverside. 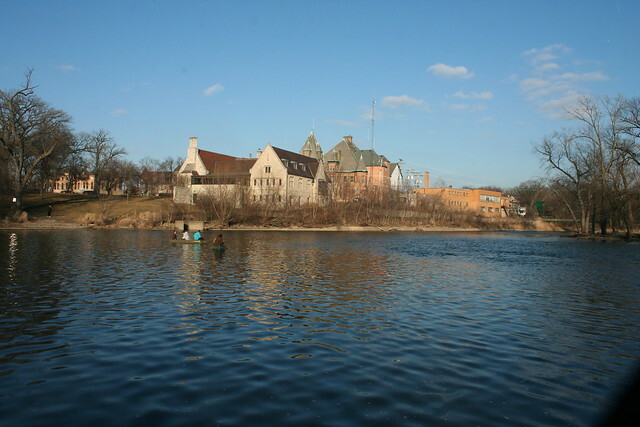 Riverside was laid out in 1869-71 by Frederick Law Olmsted and his partner Calvert Vaux. Its ample parkland, 100×200 foot house lots, and curving streets and paths were a world away from the crowded, industrialized inner city of the time. About 50 houses (of which only a handful remain today) went up before the Panic of 1872 brought things to a temporary halt. 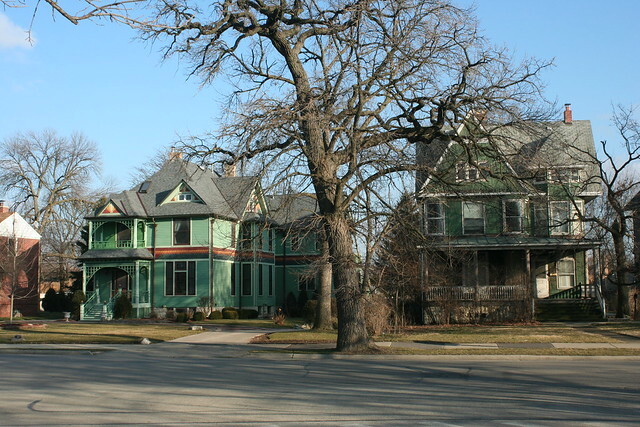 Additional houses went up in the following decades in a variety of styles. 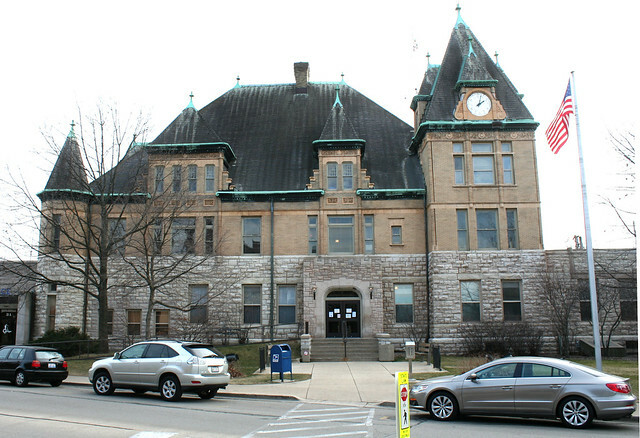 As a National Register of Historic Places site, Riverside has been amply researched and documented; there’s not much I can add factually. But Riverside is exactly the kind of knock-your-socks-off place that got me started writing this blog, the kind of place that a casual tourist would be unlikely to find, the kind of place I’m hoping to stumble across when I wander out beyond the Loop. So I share it here in an act of pure, unabashed enthusiasm. 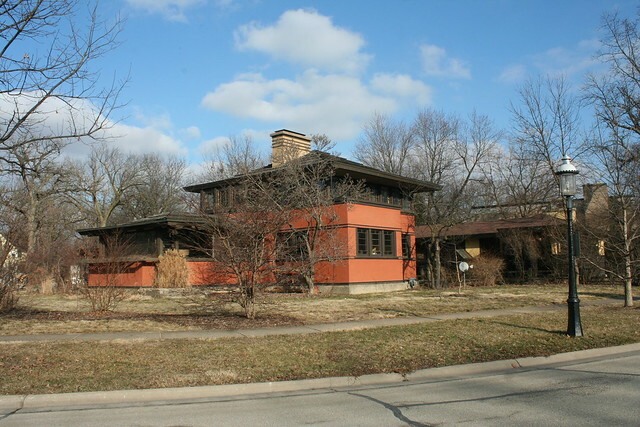 Riverside is home to several Frank Lloyd Wright houses, two historic water towers, a lovely city hall, several important commercial buildings, many beautiful turn-of-the-century homes from a highly pedigreed register of architects, and even a few Mid-Century buildings of note. 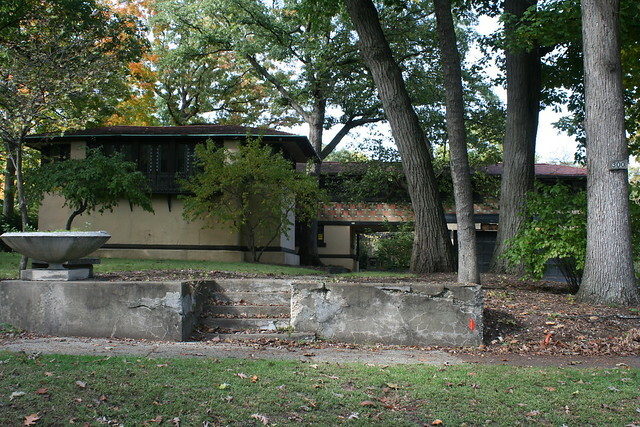 It was also the home of Louis Sullivan’s Babson House, lost in 1960. 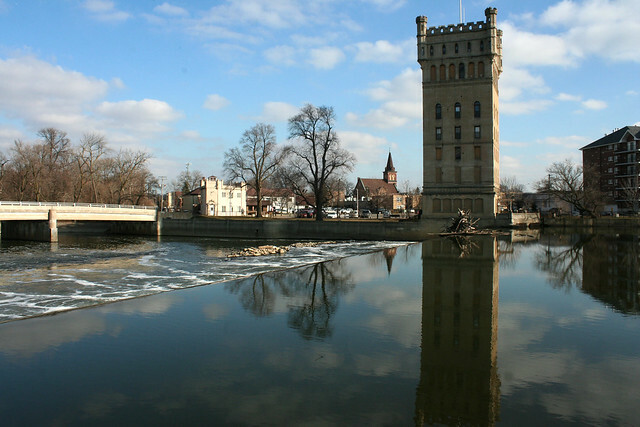 This castellated tower stands alongside the Des Plaines River, on a stretch of road that is a sort of “back door” to Riverside. 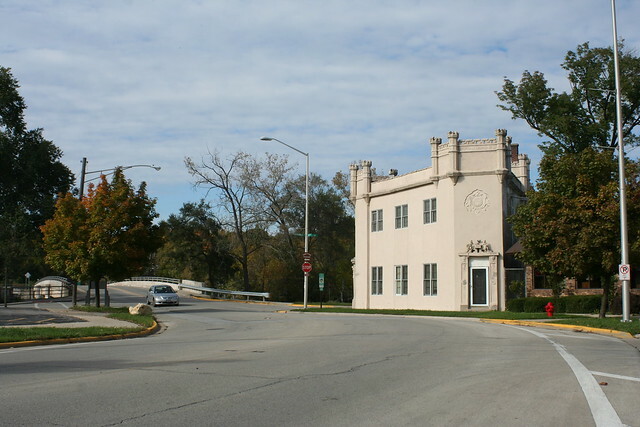 This route is how I’ve always approached the town, coming off of Ogden Avenue. The adjacent dam was removed in 2012, and the river re-channelized. 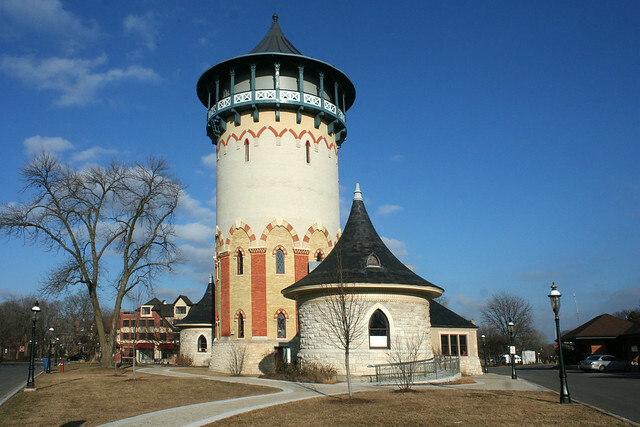 Water Tower (1871) with adjacent pump house and well house (1890). Architect William LeBaron Jenney. 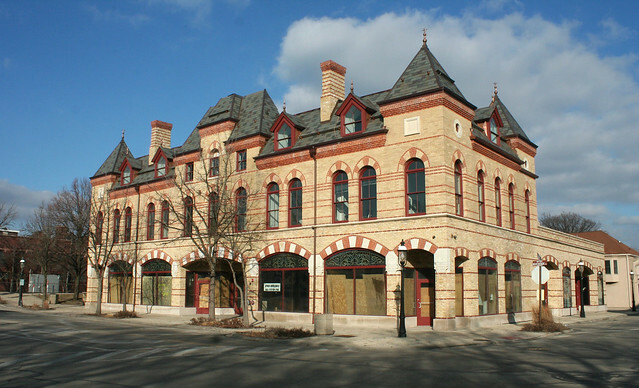 Riverside Improvement Company Building, 1871 – architect Frederick C. Withers. 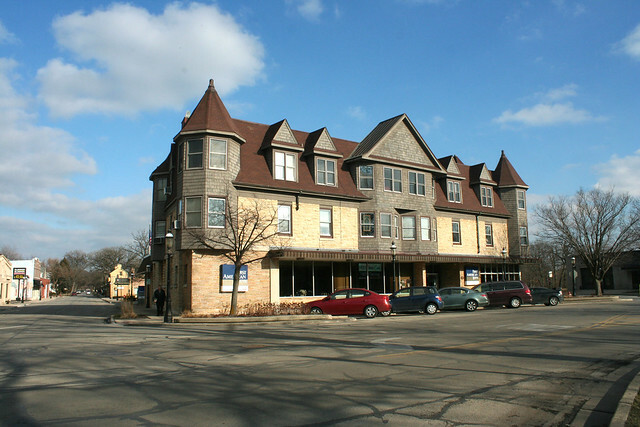 The development’s first commercial building. 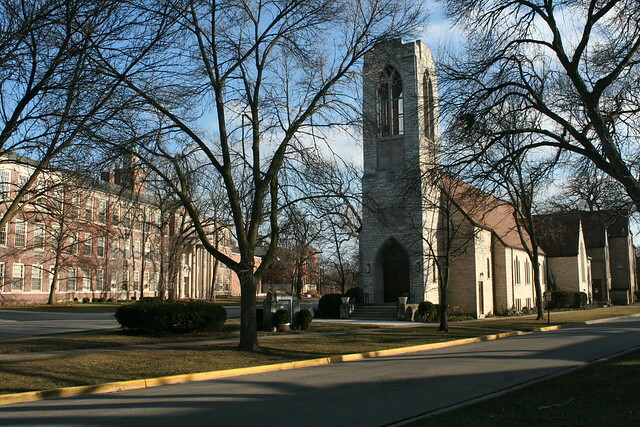 Riverside Presbyterian Church, 1879 – architect John C. Cochrane. 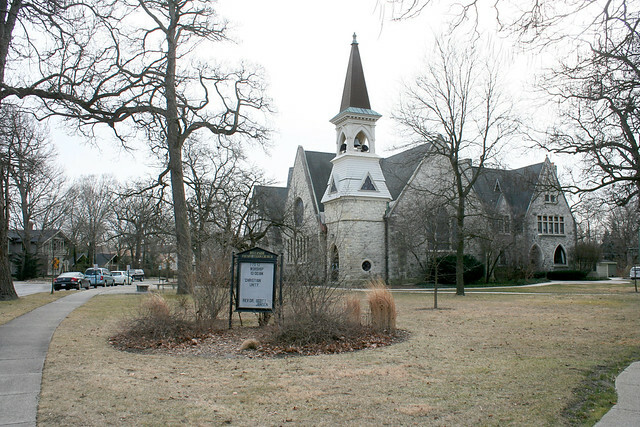 Much of the stone in this church comes from an 1869 church on the same site, destroyed by fire. 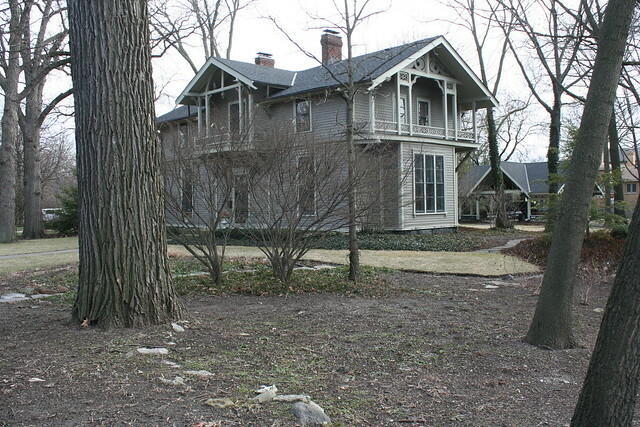 Dore Cottage, 1869 – architects Olmsted, Vaux & Co.
Avery Coonley Residence, 1908 – architect Frank Lloyd Wright. This landmark Prairie Style house is the centerpiece of a whole estate, including the servants’ quarters and the stables & garage seen below. 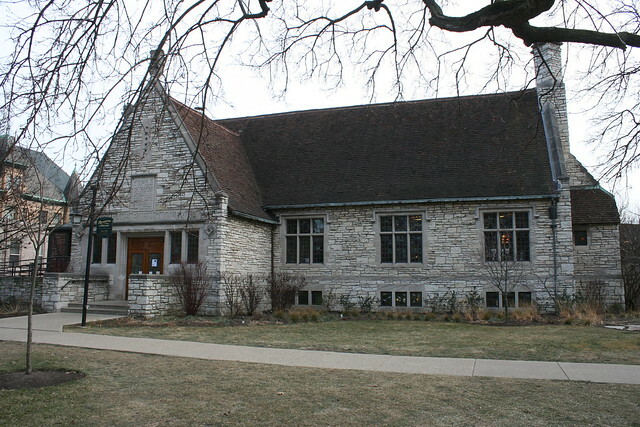 Coonley Playhouse, 1913 – architect Frank Lloyd Wright. 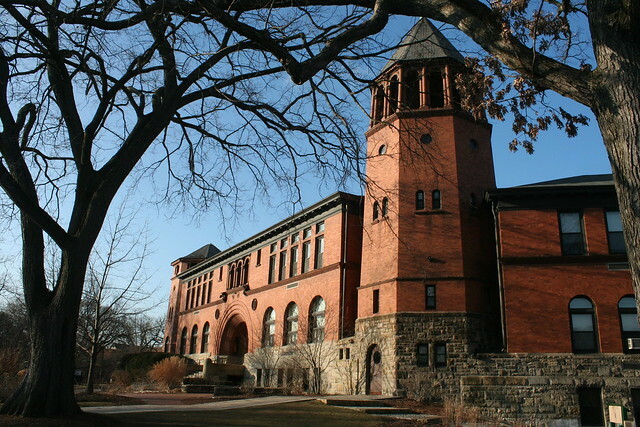 Originally a school for educating the Coonley children. Thorncroft Residence, 1912 – architect William Drummond – as home for teachers in the Playhouse school, it was yet another part of the Coonley estate. This short set of photos doesn’t even include all the highlights; an entire day could be spent exploring every corner of this fantastic architectural wonderland. 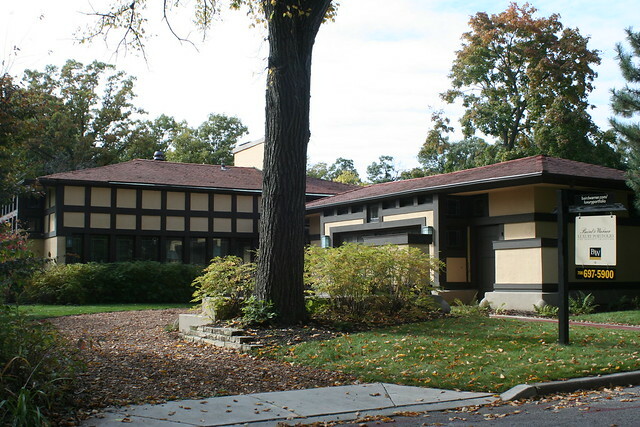 There are buildings I haven’t even gotten to myself, including another major Frank Lloyd Wright house and a surviving Louis Sullivan house (a service building for the Babson estate which is significant in its own right – 277 Gatesby Road if you’re looking!) 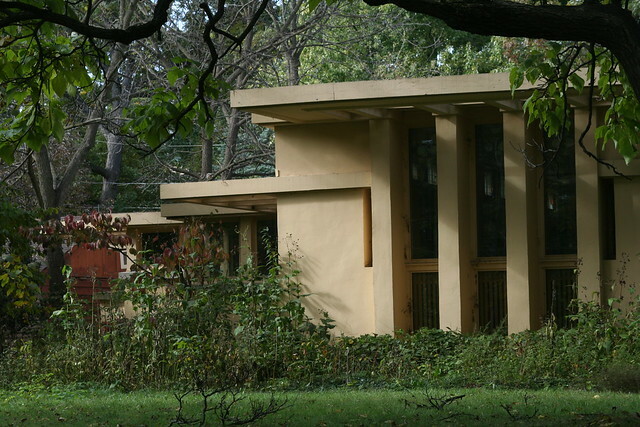 For any architecture fan in Chicago, a trip out to Riverside, IL is an absolute must. 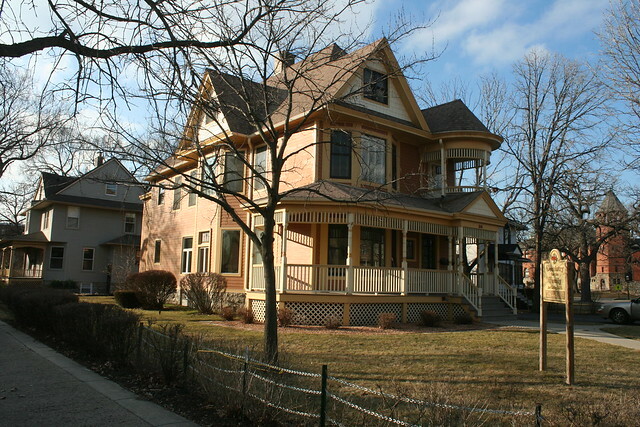 This entry was posted in Chicago neighborhoods, historicist churches, Louis Sullivan, Prairie Style, Victorian architecture. Bookmark the permalink. 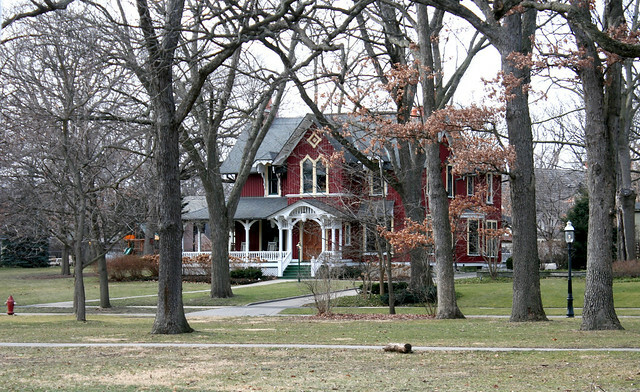 I was lucky enough to be an invited guest at a home in Hinsdale. 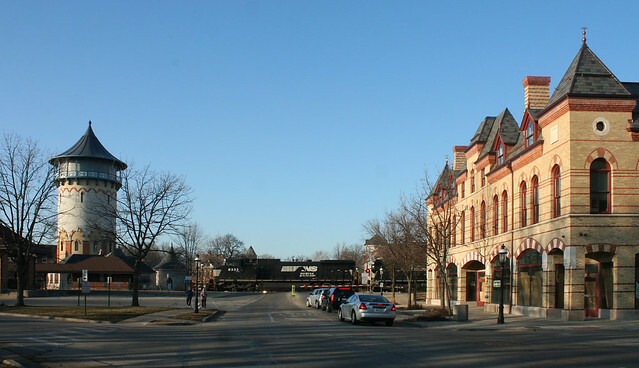 While taking the train downtown we passed the water tower. I had never seen one like it and once we got back I immediately googled it. It’s a wonderful area and for me it was like a weekend inside a Normal Rockwell painting. I meant Norman Rockwell painting!